Aeroponics Vs Hydroponics: Know the differences! Aeroponics vs hydroponics is environmentally friendly methods of growing plants. Both of them use soil only as a medium that holds together the nutrients needed for a plant to grow. Aeroponics represents the process of growing plants in the air, without planting them in the soil. This term is derived from Greek words: aero means air and ponos means labor. The growth of plants is boosted by suspending them in the air, in an encapsulated environment. In this way, they get the necessary nutrients by spraying the roots with a nutrient-rich solution. Then, inside that enclosed space, gardeners use pressure pumps to spray the solution and trigger mist. Due to the fact that the plants are enclosed in a specific environment, the absence of wind benefits the plants. It ensures that the mist stays longer, thus, helping the plants grow faster. In the case of hydroponics, the nutrients are also dissolved in water. The plant receives the nutrients directly through its roots. Nevertheless, instead of spraying that solution, gardeners either grow the plants in containers of nutrient solution, or the nutrient-rich solution circulates past their roots. The term is derived from Greek words: hydro means water and ponos means labor. Hydroponics are of two different kinds. They split into solution-culture hydroponics and medium-culture hydroponics. In solution-culture hydroponics, gardeners use the nutrient solution to facilitate plant growth. On the other hand, in the case of medium-culture hydroponics, gardeners use rock wool, gravel or expanded clay aggregate as a substrate to lend support to the plants. 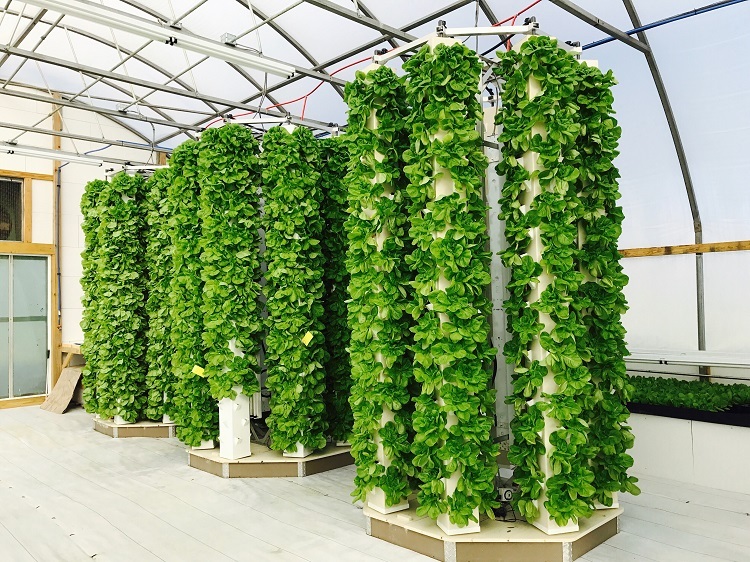 Numerous experts argue that hydroponics agriculture is increasing in popularity, becoming common in the future American home. Since the soil quality deteriorates due to climate change, more and more gardeners have started thinking of alternative methods to grow plants in a healthy environment. Aeroponics represents another branch of hydroponics expect the plants do not require soil to grow. Furthermore, some specialists argue that soil can hinder particular plants’ growth. Both methods of growing plants are different from geoponics. Geoponics is the method through which gardeners grow plants in soil and the nutrients from the soil are absorbed by the plant through its root. In both aeroponics and hydroponics, water is one of the most important medium through which plants get nutrients. Some specialists consider aeroponics to be a subset of hydroponics. Nevertheless, if we were to take a closer look, we would notice the striking differences. In this case, as well, aeroponics has another advantage because of two important factors. Since gardeners carry out aeroponics in an enclosed environment, the chances for plants to come in contact with foreign particles are decreased. Another important aspect is that gardeners spray the nutrient solution on the plants every time. When it comes to hydroponics, there is an increased risk of bacterial growth. This is due to the fact that the humidity levels are quite increased in the surroundings. When comparing both methods in terms of plant growth, aeroponics has an edge over hydroponics. In hydroponics, the roots of the plant are not properly aerated since gardeners submerge them in water. However, in aeroponics, the roots hang in the air, helping them absorb the oxygen more readily. Experts indicate that the aeration factor contributes to proper growth. Hence, they suggest it is better to choose for aeroponics when starting your own garden. Considering the costs, the setup price for both methods is pretty high. In the case of hydroponics, water is the medium through which plants get the nutrients. However, in the case of aeroponics, there is no such a medium. Therefore, aeroponics depends on machinery. In case the machinery fails to work, then the plants’ health is affected. If the plants do not get the needed nutrients, they won’t survive for more than a few hours. Therefore, provisional backup is something every gardener should think of when it comes to aeroponics. This will add more costs to the initial investment. Hence, hydroponics has a slight edge. If you choose aeroponics over hydroponics, it is a case of spending more for better facilities. In this case, gardeners have complete control over nutrient delivery. In this case, plants have a greater energy efficiency compared to plants that grow in soil. Numerous hydroponic systems are designed to recycle water, reducing waste. The soil-free cultivation systems use only 10% of the amount needed to water plants grown in conventional growing methods. Gardeners that develop hydroponic gardens should know that they do not need to use pesticides or herbicides. Furthermore, this type of gardens require little space and do not depend on the growing seasons. Hydroponics use artificial light. Since gardeners suspend the plants, the roots get maximum nutrient absorption through the misted system. Another advantage is that you can assemble this type of growing system at home. The nutrient solution passes between plants. Hence, this can allow water-based diseases to quickly travel from one plant to the other. Aeroponics, a sub-type of hydroponics, rely on electricity. This requires a costly generator to use it as a back-up. Hydroponics is also expensive, but they are cheaper to operate than traditional gardens. This type of growing method is a rather sensitive system. The trayless system can require a lot of attention when it comes to nutrient density and pH ratios. Beginners may find this type of cultivation difficult to build and understand. Only gardeners who have knowledge about this type of gardens and systems can efficiently grow plants through this method. Aeroponics vs hydroponics is two different growing systems that help gardeners give up on the regular garden. In this way, they will no longer struggle to grow plants in barren soil or soil which are constantly polluted. They now have the chance to use these alternative methods to grow healthy greens and vegetables for their entire family.